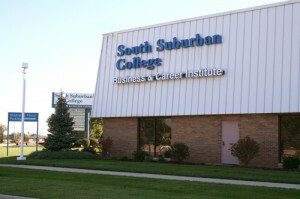 Welcome to the Business & Career Institute at SSC! Please explore the BCI website to learn more about the multitude of courses and assistance we offer. About Business & Career Institute – Overview of the Business & Career Institute. The region’s headquarters for Workforce, Economic and Community Development. ACT WorkKeys® Solution Provider – The Business & Career Institute (BCI) is a licensed WorkKeys® Solutions Provider that administers the ACT WorkKeys® assessment and value-added services. Consumer Wellness Advocate (CWA) Certification Training – Consumer Wellness Advocate (CWA) Certification Training provides education, awareness and accountability through a continuous improvement process, ultimately awarding the Consumer Wellness Advocate (CWA) Certification. Economic & Workforce Development – Our professional staff can assist with screening new hires, training current employees and planning for future growth and technological advancements within your company. Highway Construction Careers Training Program is a pre-apprenticeship program for individuals interested in getting into an apprenticeship program with any of the construction trades. Computer Training and Applications – A comprehensive selection of software training classes, for beginning and advanced users. Lean Training – Increase productivity, reduce work in progress, and improve the quality of your products and services by sending your key employees to the Lean Institute. Licensure & Certification Testing Center – The Business & Career Institute administers computer-based licensing and certification assessments for many sponsoring organizations as a test site for Pearson VUE, Certiport, and ACT WorkKeys® Solution Provider. Professional Development/Soft Skills -The Business & Career Institute is a leader is delivering solution-focused training and workshops in customer service, effective workplace communication, team building and various other interpersonal and workforce performance skill sets. Small Business Services – Organizations from throughout Chicagoland have joined together with college departments to offer services to small businesses and not-for-profit organizations. 160 DRIVING ACADEMY – South Suburban College and 160 DRIVING ACADEMY are providing career opportunities in truck driving to local residents looking for a career change.